If I want something, I do what I need to get it as soon as possible. For this journal, I thought I needed it as soon as possible, so I actually had these photos taken five months ago. If I don’t get something as soon as possible, I stop trying and basically give up to move on to something else more tangible in the moment. It’s not good, I know; I’m working on it. Baking and cooking (along with my gentleband) are teaching me more and more of an appreciation for a personal process. 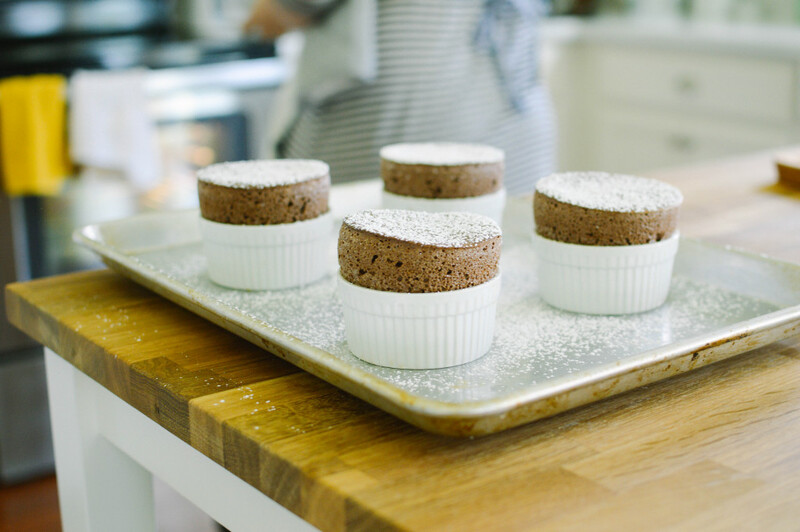 These soufflés signify that for me, because even though they’re super easy to make, I’ve had this shoot sitting in my inbox for months. Before I share the details, let me express my love for ChefSteps, where this particular recipe comes from. ChefSteps is online teaching platform for “cooking smarter.” They have a lot of free recipes and videos. I’ve learned a lot just by watching their videos, and their recipes are very easy to follow. They are also incredibly engaging, so if there ever were to be a question, I have no hesitation. They’d make sure my curiosity wasn’t prolonged for too long. ChefSteps does all of their recipes by weight. While I very much do prefer this, it’s not what I’ll always share. 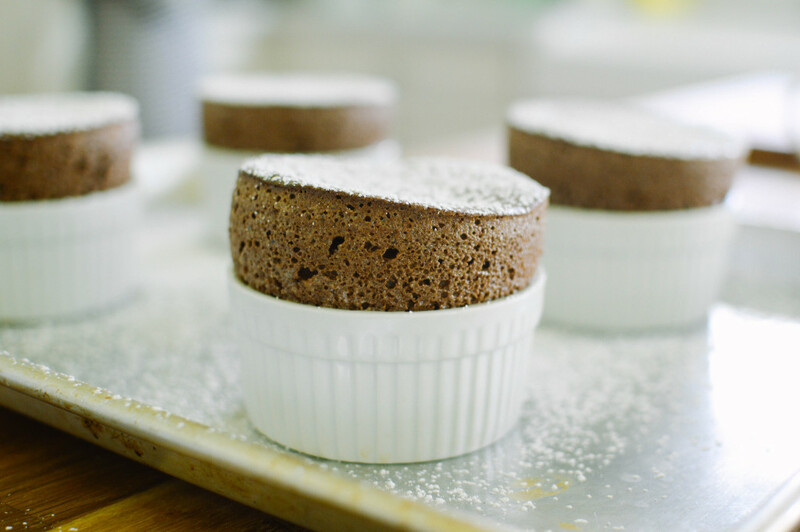 These soufflés come out so gorgeous every time, and they have such an awe about them. Not only are they so beautiful, they are sooooo delicious. 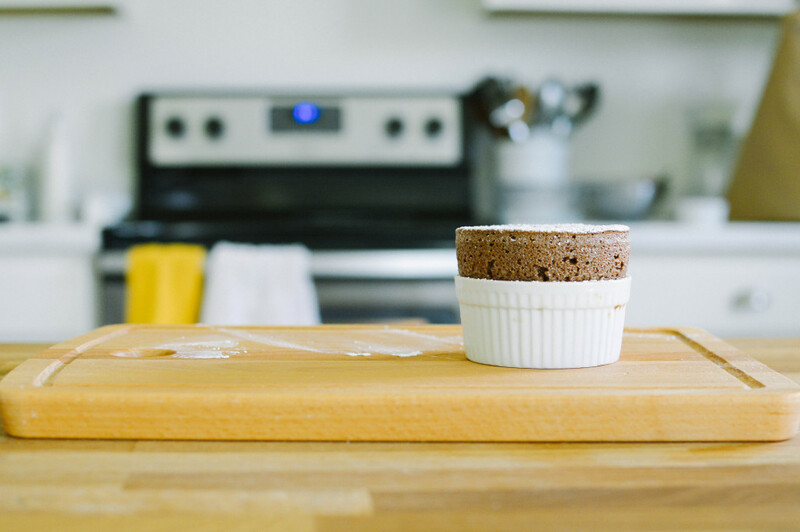 ∙combine flour, salt, and butter until nothing in that bowl is dry! 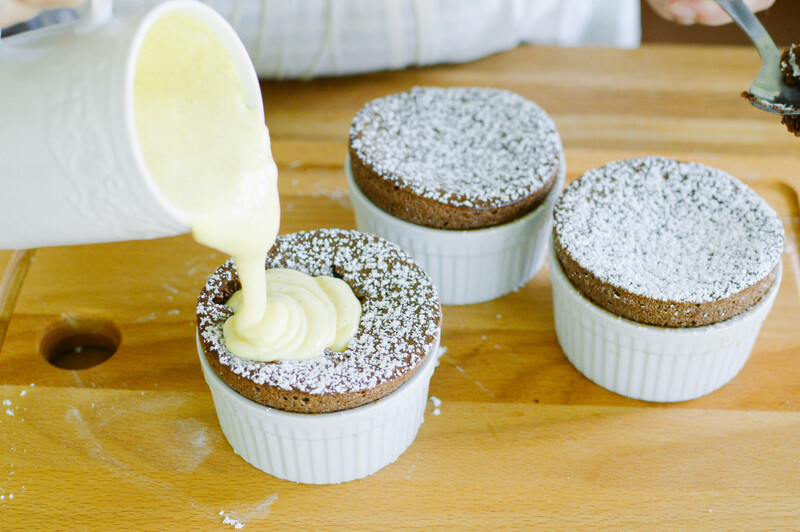 ∙I always serve mine with crème anglaise, they have that recipe on Chefsteps too! I’ve been wanting to try and make these for probably 2 years now and just haven’t worked up the courage.. I think I’ll have to give it a shot. You’re awesome, friend!